Courtesy of RE/MAX Renaissance Realty. Motivated Seller: This charming 4662 sq ft home encompasses spacious rooms with two levels, offering a separate and complete mother n law suite. The main house offers 3502 sq ft +/- 4 large bedrooms all with walk in closets, 4 1/2 bathrooms, formal dining room, large great room, wet bar, Arizona room with fireplace and breathtaking panoramic views of Prescott lakes golf course and surrounding mountains. This home offers two laundry rooms for main house and mother law suite a total of 5 car garage. The mother law suite is 1147 sq ft +/- offers private entrance, living area, full eat in kitchen, two bed rooms, 2 baths. Garages offer keypad entrance, 3 AC units with warranty until 2020, 2 gas water heaters with instant hot water, 20×12 storage room, automatic gate , fully fenced backyard. Approximate size: 18731.00 sq. ft. Please, send me more information on this property: MLS# 5847757 – $649,000 – 651 S Lakeview Drive, Prescott, AZ 86301. 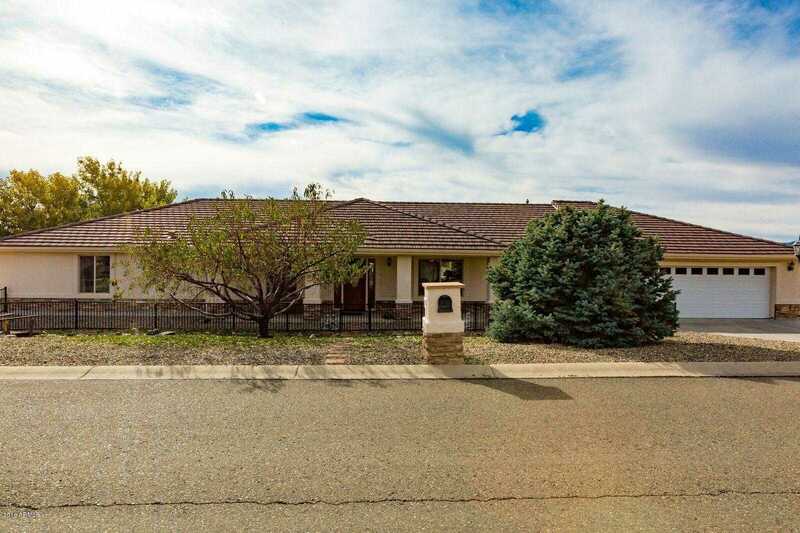 I would like to schedule a showing appointment for this property: MLS# 5847757 – $649,000 – 651 S Lakeview Drive, Prescott, AZ 86301. This content last updated on April 21, 2019 08:49. Some properties which appear for sale on this web site may subsequently have sold or may no longer be available.